Price varies from Rs 3.5 lac to Rs 35 Lac based on the specification of the products. With a firm commitment to quality, our organization is involved in offering a wide ambit of Motorized Hydraulic Press Machine. We are dealing in Hydraulic Press. With an objective to fulfill the ever-evolving demands of our clients, we are engaged in offering a wide assortment of 60 Ton Power Operated Hydraulic Press. 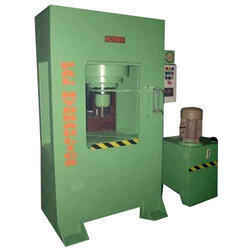 Hydraulic Press Machines Manufacturers Basant Industries, Ludhiana. We are making hydraulic press machines since 1960 with high grade material and quality. In order to cater the variegated demands of our clients, we are offering an excellent quality range of 10 Ton Hydraulic Press Machine. 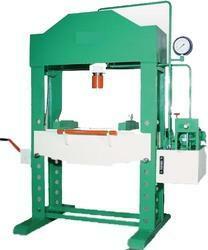 We are devoted towards manufacturing the qualitative range of Hydraulic Bundling Press.